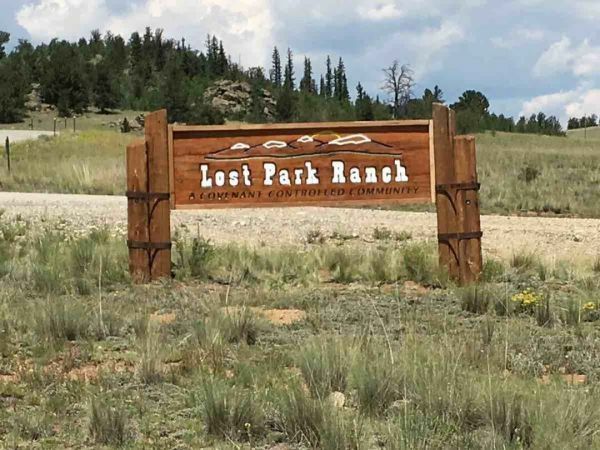 It appears that the Lost Park Ranch Subdivision sign marking our entry near County Road 77 and Al Gulch Road has been forcefully removed and taken from its stand over the past weekend. If you noticed anyone “working” on the sign, we would be interested in that information. If anyone is holding the sign for safe-keeping, please let me know. I noticed it laying over sometime last week. Looked to me like the posts had rotted and the wind blew it over. Maybe it is fitting that the sign is lost in "Lost Park Ranch"! That is too bad, it sure is a nice looking sign. Hope it is returned without harm.